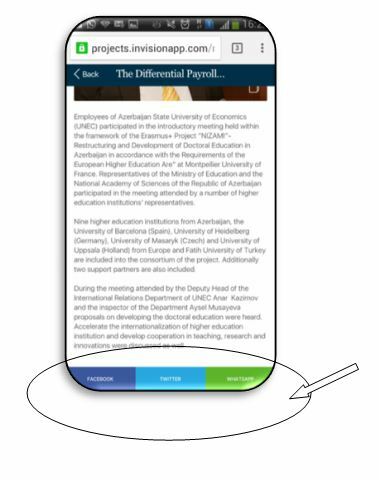 A mobile applivation of the site unec.edu.az of Azerbaijan State University of Economics is given to use. 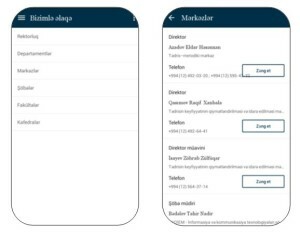 The mobile-application based on the webpage is developed compactly and laconically and in a simplified way. 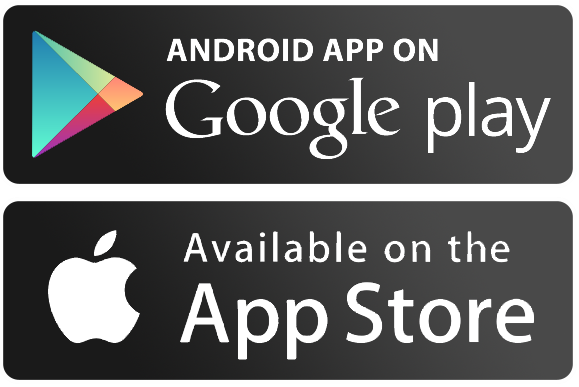 The advantages of the mobile-application allow to use it more quickly, to save the traffic and time. 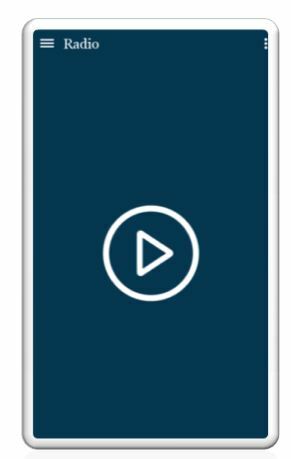 The mobile applications are developed in the format of special phone. 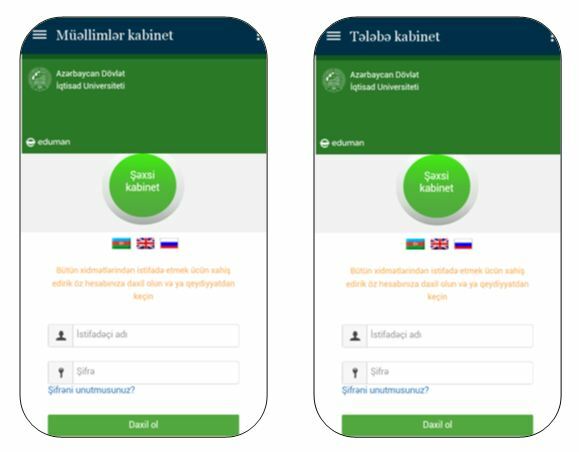 The mobile application of the webpage of Azerbaijan State University of Economics unec.edu.az has already been put into operation. Different sections are placed in mob.app in accordance with the site of the university. The mob. app of UNEC can easily been downloaded from the list of Play Market. It is comfortable and available to use it by downloading. News and Events - The option “News and Events” is set as the first page taking into account that the news and events are the main operative piece of webpage UNEC. 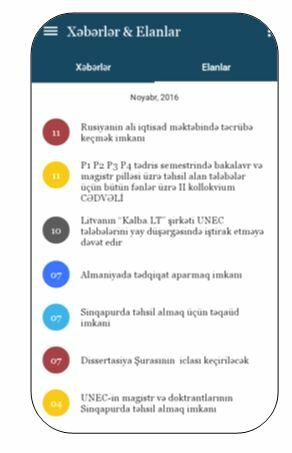 As well as on the site – News are placed with photos, but the events are indicated with dates. User is noticed about the new info by the appearance of “>n” on display. (n is the number of unread news and events). User can immediately share the read information on Facebook, Twitter and Whatsapp or send them to other users. The general style is developed in accordance with the site. 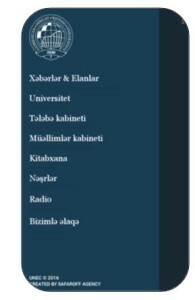 Logo of the University of Economics is placed on the top of blue background. 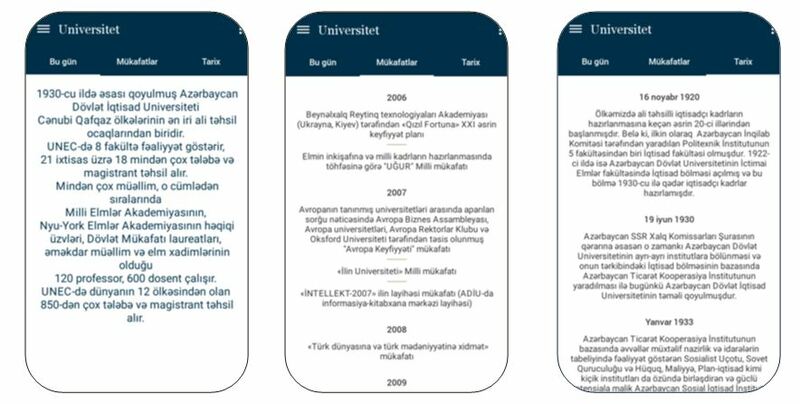 University – Information about the University.The option consists of three parts- “Today”, “Awards” and “History”. Relevant information on each section are placed. 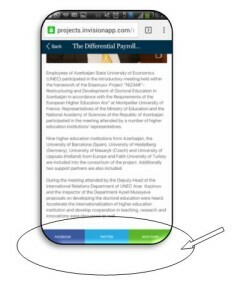 It is available to enter the EDUMAN system which is frequently used by teachers and students. Thus the users are provided with the easy access to EDUMAN system. Library – is the option “desktop books” usually placed in mobile applications. 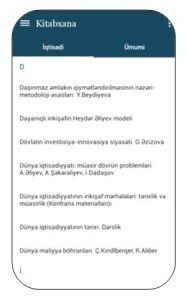 Electronic versions of the main textbooks and books published at the university. Alphabetical order makes it easy to use. Publications – Issues of the newspaper “Igtisadchi” on months are placed. Radio - Access to Radio UNEC; it allows to listen to the programs aired on Radio UNEC via your phone. Contact us – All structural units of the University are grouped in this option and their phone numbers are indicated- it is available to contact the appropriate body immediately from here. 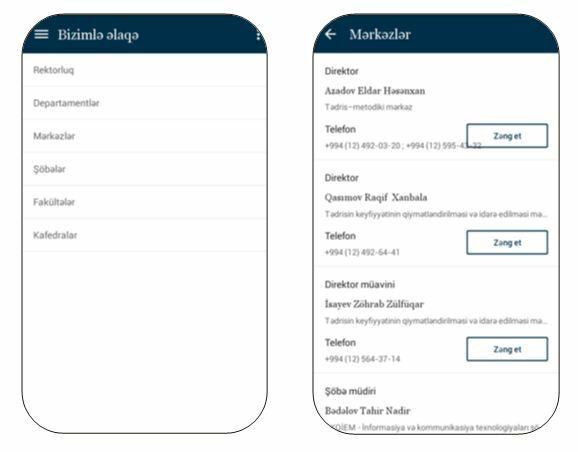 As a result the contacts of any unit are downloaded to the users telephone. 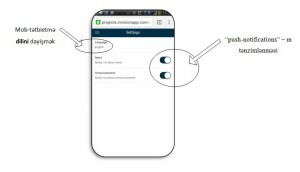 Settings – User can change the language of mobile application from this option. 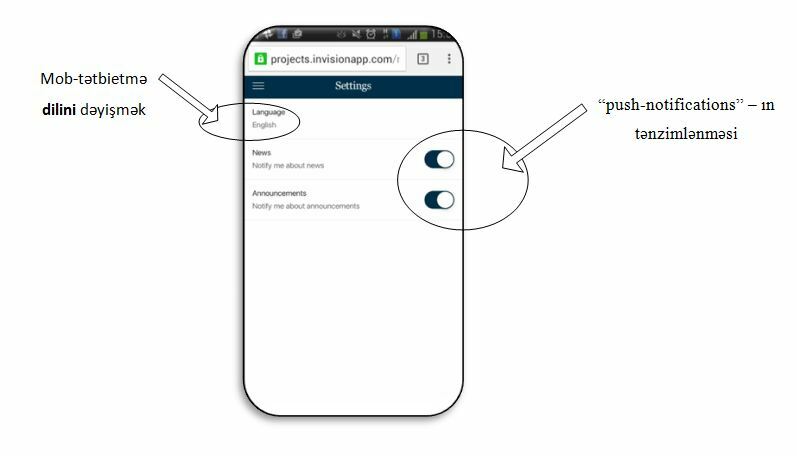 Even pages can run automatically in accordance with the type of the phone. 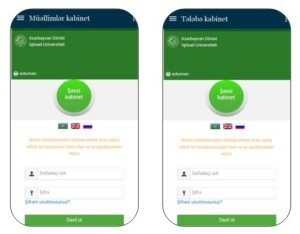 It will lead to increasing the number of users with foreign languages. 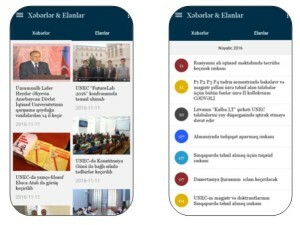 The availability of push- notifications about the news and events can be reset by users, i.e. the users can either choose this option or not.